There's not many people in the poker world that don't know the names 'OMGClayAiken', or 'MrSweets28' online. There's not many people in the poker world that don't know the names 'OMGClayAiken', or 'MrSweets28' online. These aliases belong to the one and only Phil Galfond. He is one of the biggest characters on the poker scene, and never fails to impress with his ridiculously smart play, and insightful tells. Being a founder of Bluefire Poker, his videos were loved by poker fans and fellow players around the world. This was due to his down to earth nature, and unbelievable knowledge of the game. These videos were based around his nosebleed stakes play around with super high rollers on Full Tilt. Recently, Phil Galfond's overall winnings on Full Tilt poker have exceeded $10m, definitely giving him a concrete spot as one of the best poker players ever. He also has one WSOP bracelet to his name ($5k PLO event, 2008), with a few close calls too. He was exceedingly close to landing his second bracelet this summer, when he lost HU to Steve Sung in the $25k NLH 6max event. His $744,841 prize for second hopefully softened the blow slightly. Fedor Holz and High Stakes PLO! Is Men 'The Master' Nguyen an ANGLESHOOTER?! Phil Galfond on this INSANE $150,000 Bluff! ChicagoJoey - Can I REALLY Fold This River?? Wife Gifts Husband Ultimate Christmas Poker Present – And Then Santa Steps In! Phil & Farah Galfond Are Expecting A Baby! Phil Galfond has put out the first in a series of press releases which will act as apologia for the decisions made by the dev team. 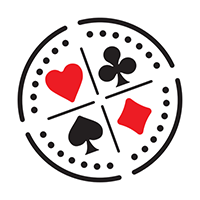 RunItOnce Poker Site To Launch This Summer! Phil Galfond’s much-anticipated online poker site, RunItOnce, is set to open this summer. Niman Kenkre's story is one of the more unusual in the world of high-stakes poker. Doug Polk and Phil Galfond are on the lookout for fresh blood for their sites. In a surprise announcement, top online pro and PLO coach Fernando ‘JNandez87’ Habegger has left Upswing Poker.